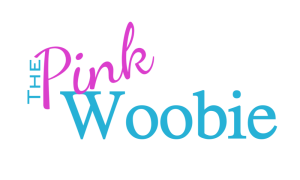 The Pink Woobie | Kid’s Bow Tie- I Found it on Pinterest! Kid’s Bow Tie- I Found it on Pinterest! There’s a new trend sweeping the internet and it’s being met with many cheers as well as jeers. I am not writing this to get into a discussion about the guidelines of Pinterest or other similar sites. I simply want to share with you the joy I have found from using this social photo sharing website. One of the main benefits of viewing and sharing pictures on pinboards is the inspiration I have found in other people’s creativity. It has become a process of discovery for me, whether I’m making a gift for a family member or brain storming color choices for my next crocheted scarf. I’ve also found awesome home decorating tips and many gluten free recipes. Pinterest really speaks to all the aspects of my life. The social aspect is great as I often get to see the projects my sisters, friends, as well as favorite bloggers are into on a particular day. I’ve already tried a few recipes, sewing projects, and knitting patterns. I’ve decided to share some of my favorite completed projects here with you. Today I will share with you a picture of this AMAZING velcro bow tie I made for my nephew. The tutorial I used came from a great site called A Lemon Squeezy Home. This site is packed full of great sewing projects for any season and any size. I made this great bow tie for my nephew Johnny, after he chose to wear a bow tie for his winter band concert. I hope he enjoys this one for the spring. I thought the tutorial was spot on, my bow tie did exactly what the pictures and instructions said, and it came together rather quickly. The only thing I did different than Christie did in her tutorial is I used a lighter interfacing rather than felt. This was mostly because I did not have any felt on hand, but I am pleased with the outcome. I’ve been aware of the mechanics of sewing pretty much for my whole life, but have only been practicing the act regularly since right before Christmas 2011. So if you are on Pinterest and see a project you might like to try give it a shot, even if you’ve never done something like it before. And if you write about it be sure to give the original tutorial a shout out! Come back here and let me know how you did! !